Light therapy, or phototherapy, is the administration of doses of bright light in order to treat a variety of sleep and mood disorders. It is most commonly used to re-regulate the body’s internal clock and/or relieve depression. Light, both natural and artificial, has been prescribed throughout the ages for healing purposes. Sunlight has been used medicinally since the time of the ancient Greeks; Hippocrates, the father of modern medicine, prescribed exposure to sunlight for a number of illnesses. In the late nineteenth and early twentieth centuries, bright light and fresh air were frequently prescribed for a number of mood and stress related disorders. In fact, prior to World War II, hospitals were regularly built with solariums, or sun rooms, in which patients could spend time recuperating in the sunlight. In the 1980s, light therapy began to make an appearance in the medical literature as a treatment for seasonal affective disorder, or SAD. Today, it is widely recognized as a front-line treatment for the disorder. 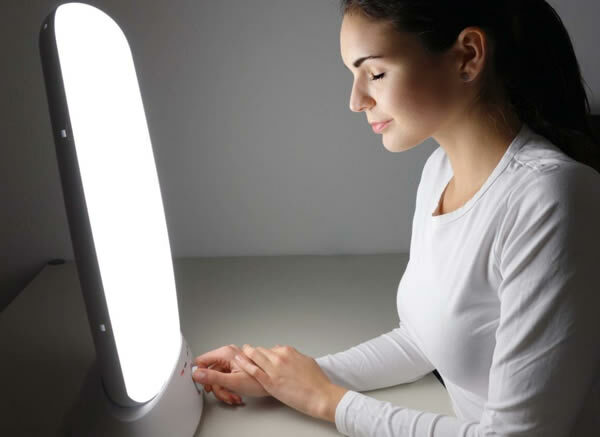 Light therapy is most often prescribed to treat seasonal affective disorder, a form of depression most often associated with shortened daylight hours in northern latitudes from the late fall to the early spring. It is also occasionally employed to treat such sleep-related disorders as insomnia and jet lag. Recently, light therapy has also been found effective in the treatment of such nonseasonal forms of depression as bipolar disorder. One 2001 study found that bright light reduced depressive symptoms 12–35% more than a placebo treatment in nine out of 10 randomized controlled trials. When used to treat SAD or other forms of depression, light therapy has several advantages over prescription antidepressants. Light therapy tends to work faster than medications, alleviating depressive symptoms within two to 14 days after beginning light therapy as opposed to an average of four to six weeks with medication. And unlike antidepressants, which can cause a variety of side effects from nausea to concentration problems, light therapy is extremely well tolerated. Some side effects are possible with light but are generally not serious enough to cause discontinuation of the therapy. Full-spectrum/UV light therapy for disorders of the skin. A subtype of light therapy that is often prescribed to treat skin diseases, rashes, and jaundice. Cold laser therapy. The treatment involves focusing very low-intensity beams of laser light on the skin, and is used in laser acupuncture to treat a myriad of symptoms and illnesses, including pain, stress, and tendinitis. Colored light therapy. In colored light therapy, different colored filters are applied over a light source to achieve specific therapeutic effects. The colored light is then focused on the patient, either with a floodlight which covers the patient with the colored light, or with a beam of light that is focused on the area of the illness. Back of knee light therapy. A 1998 report published in the journal Science reported that the area behind the human knee known as the popliteal region contains photoreceptors that can help to adjust the body’s circadian rhythms. The authors of the study found that they could manipulate circadian rhythms by focusing a bright light on the popliteal region. Further studies are needed to determine the efficacy of this treatment on disorders such as SAD and jet lag. Light therapy is generally administered at home. The most commonly used light therapy equipment is a portable lighting device known as a light box. The light box may be a full-spectrum box, in which the lighting element contains all wavelengths of light found in natural light (including UV rays), or it may be a bright light box, in which the lighting element emits non-UV white light. The box may be mounted upright to a wall, or slanted downwards towards a table. The patient sits in front of the box for a prescribed period of time (anywhere from 15 minutes to several hours). For patients just starting on the therapy, initial sessions are usually only 10–15 minutes in length. Some patients with SAD undergo light therapy session two or three times a day, others only once. The time of day and number of times treatment is administered depends on the physical needs and lifestyle of the individual patient. If light therapy has been prescribed for the treatment of SAD, it typically begins in the fall months as the days begin to shorten, and continues throughout the winter and possibly the early spring. Patients with a long-standing history of SAD are usually able to establish a timetable or pattern to their depressive symptoms, and can initiate treatment accordingly before symptoms begin. The light from a slanted light box is designed to focus on the table it sits upon, so patients may look down to read or do other sedentary activities during therapy. Patients using an upright light box must face the light source, and should glance toward the light source occasionally without staring directly into the light. The light sources in these light boxes typically range from 2,500–10,000 lux (in contrast, average indoor lighting is 300–500 lux; a sunny summer day is about 100,000 lux). Light boxes can be purchased for between $200 and $500. Some healthcare providers and healthcare supply companies also rent the fixtures. This gives a patient the opportunity to have a trial run of the therapy before making the investment in a light box. 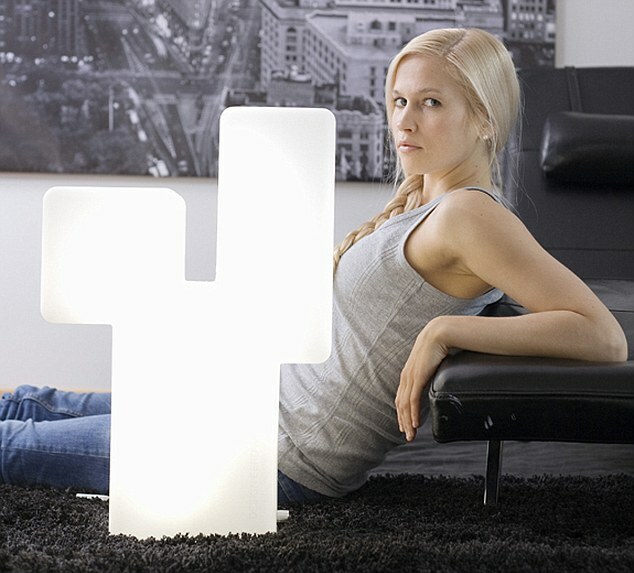 Recently, several new light box products have become available. Dawn simulators are lighting devices or fixtures that are programmed to turn on gradually, from dim to bright light, to simulate the sunrise. They are sometimes prescribed for individuals who have difficulty getting up in the morning due to SAD symptoms. Another device known as a light visor is designed to give an individual more mobility during treatment. The visor is a lighting apparatus that is worn like a sun visor around the crown of the head. Patients with any history of eye problems should consult their healthcare professional before attempting to use a light visor. Full-spectrum light boxes do emit UV rays, so patients with sun-sensitive skin should apply a sun screen before sitting in front of the box for an extended period of time. Patients with eye problems should see an ophthalmologist regularly both before and during light therapy. 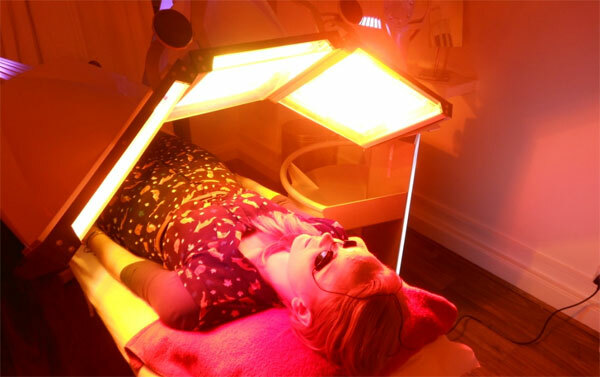 Because UV rays are emitted by the light box, patients taking photosensitizing medications should consult with their healthcare provider before beginning treatment. In addition, patients with medical conditions that make them sensitive to UV rays should also be seen by a healthcare professional before starting phototherapy. Patients beginning light therapy for SAD may need to adjust the length, frequency, and timing of their phototherapy sessions in order to achieve the maximum benefits. Patients should keep their healthcare provider informed of their progress and the status of their depressive symptoms. Occasionally, additional treatment measures for depression (i.e., antidepressants, herbal remedies, psychotherapy) may be recommended as an adjunct, or companion treatment, to light therapy. Some patients undergoing light therapy treatments report side effects of eyestrain, headaches, insomnia, fatigue, sunburn, and dry eyes and nose. Most of these effects can be managed by adjusting the timing and duration of the light therapy sessions. A strong sun block and eye and nose drops can alleviate the others. Long-term studies have shown no negative effects to eye function of individuals undergoing light therapy treatment. A small percentage of light therapy patients may experience hypomania, a feeling of exaggerated, hyperelevated mood. Again, adjusting the length and frequency of treatment sessions can usually manage this side effect. Light therapy is widely accepted by both traditional and complementary medicine as an effective treatment for SAD. The exact mechanisms by which the treatment works are not known, but the bright light employed in light therapy may act to readjust the body’s circadian rhythms, or internal clock. Other popular theories are that light triggers the production of serotonin, a neurotransmitter believed to be related to depressive disorders, or that it influences the body’s production of melatonin, a hormone that may be related to circadian rhythms. A recent British study suggests that dawn simulation, a form of light therapy in which the patient is exposed to white light of gradually increasing brightness (peaking at 250 lux after 90 min) may be even more effective in treating depression than exposure to bright light. Dawn simulation is started around 4:30 or 5 o’clock in the morning, while the patient is still asleep. Wide-spectrum UV light treatment for skin disorders such as psoriasis is also considered a standard treatment option in clinical practice. However, such other light-related treatments as cold laser therapy and colored light therapy are not generally accepted, since few or no scientific studies exist on the techniques.